also known as the Skull and Crossbones Nebula, is a stellar nursery located 13,000 light-years from Earth in the constellation Puppis. Numerous stars and star clusters come together to form a unique field of view. One of the most notable open clusters is Haffner 19 at 3 o'clock, which houses around fifty stars. Most are high-mass but have already begun their transit into star death. The dark splotches in the core are Bok Globules. 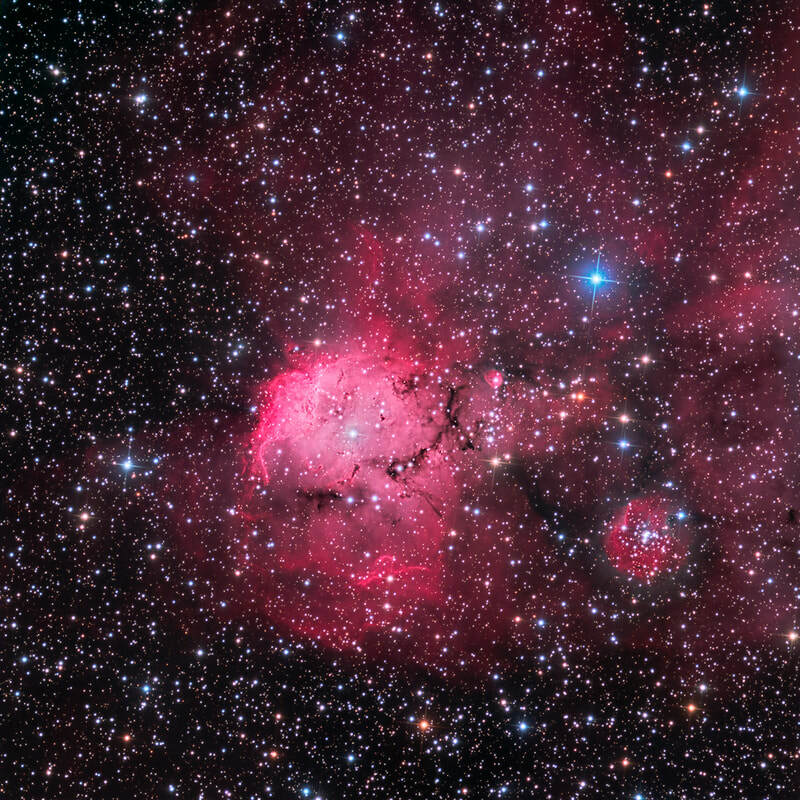 Within these regions, dust is so dense, that light from embedded stars can’t break through. The little round, pink structure just to the right of the long dust lane is Wray 15-101. This data was acquired in 2018 by SSRO.